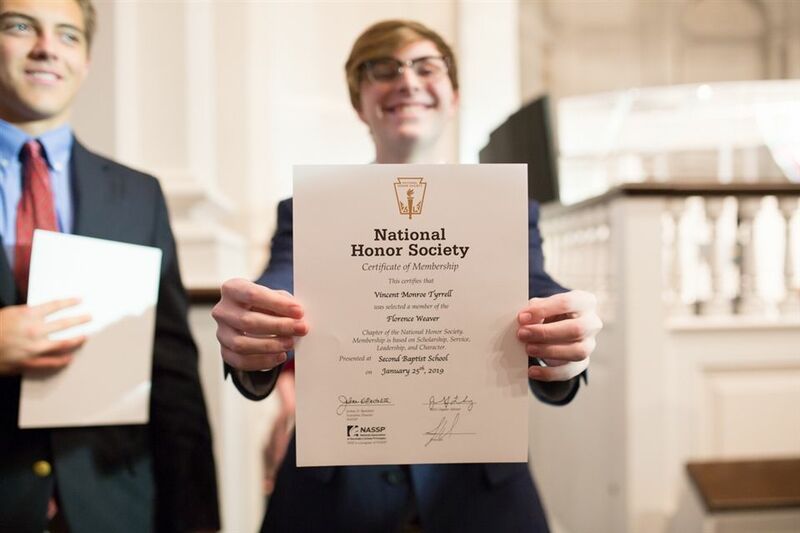 Proud parents and faculty members eagerly attended the traditional ceremony to celebrate the newest members of the Florence Weaver chapter of the National Honor Society. The annual induction ceremony, one of the oldest on campus, included prayer, exhortation from Class of 2019 members and recognition of incoming members’ accomplishments. The dedication students put forth to achieve academic excellence leads to this well-deserved honor. In order to qualify for the NHS, students must maintain a minimum GPA of 3.5 during the first semester of their junior year. In addition to grades, the four pillars of the NHS are scholarship, leadership, service and character. Click here to view photos from the National Honor Society Induction Ceremony.